I am a sucker for many things. 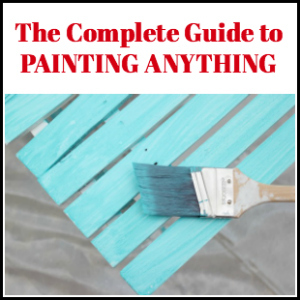 Oh, and Navy Blue or Cobalt Blue – its pretty good too. The last two are the focus of this project. 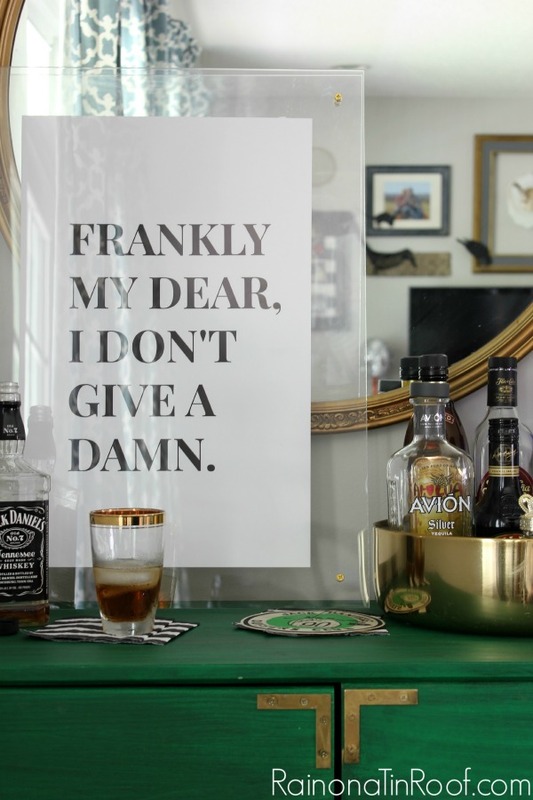 Because really who doesn’t love a little faux lucite and a good Gone With the Wind quote? 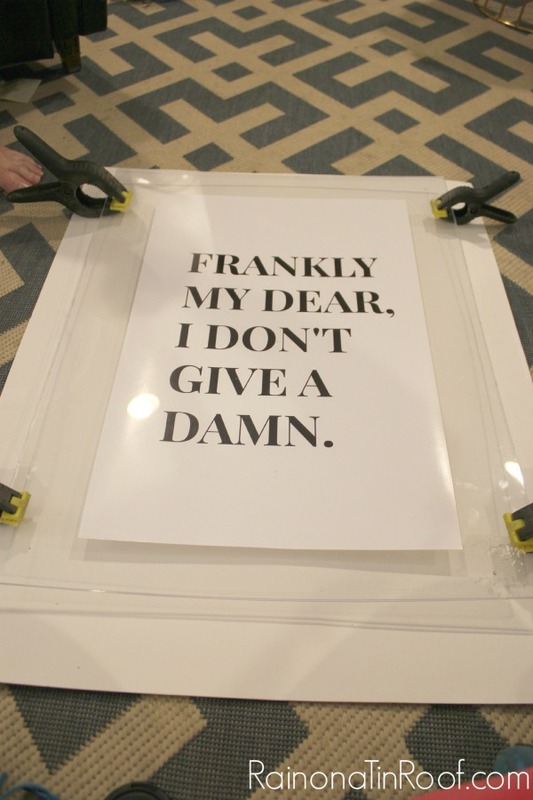 Now, let’s pair those together in this DIY Lucite Frame. Start to finish, this is going to take you all of 10 minutes. If that. Printable (link at end of post) or other art of your choice. 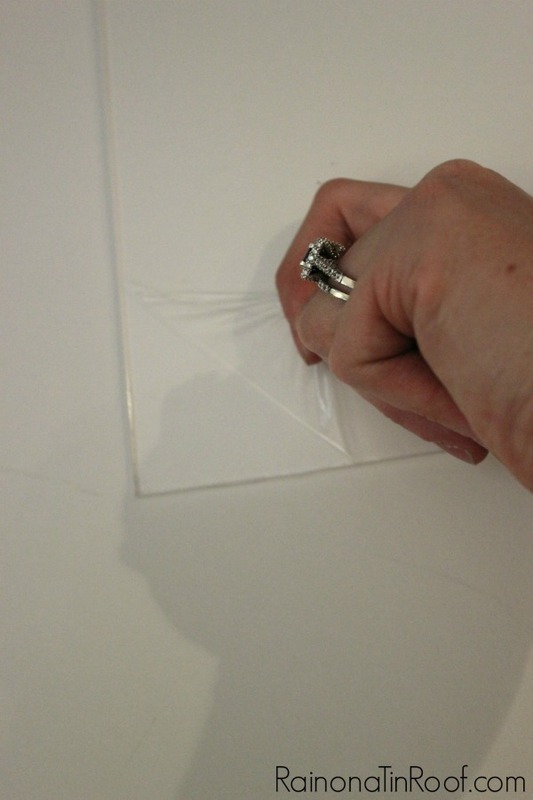 2 pieces of Acrylic or Styrene Sheets in whatever size of your choice. Mine are 18″ x 24″, but you can do whatever size you want. I got mine at Home Depot. They are also on Amazon and I’m sure at other home improvement stores. Take the plastic off the acrylic. Place your art on one of the pieces of acrylic. 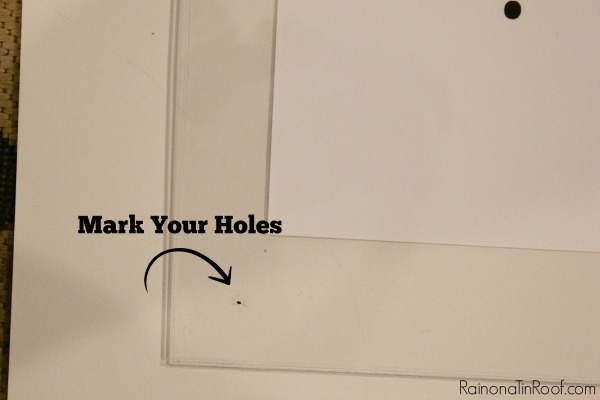 You may want to put a couple pieces of tape on the back of the art to keep it in place while you make the frame. Next, place the other piece of acrylic directly on top of that. Mark where you want your screws to go. I came in about 1 1/4″ on both sides. 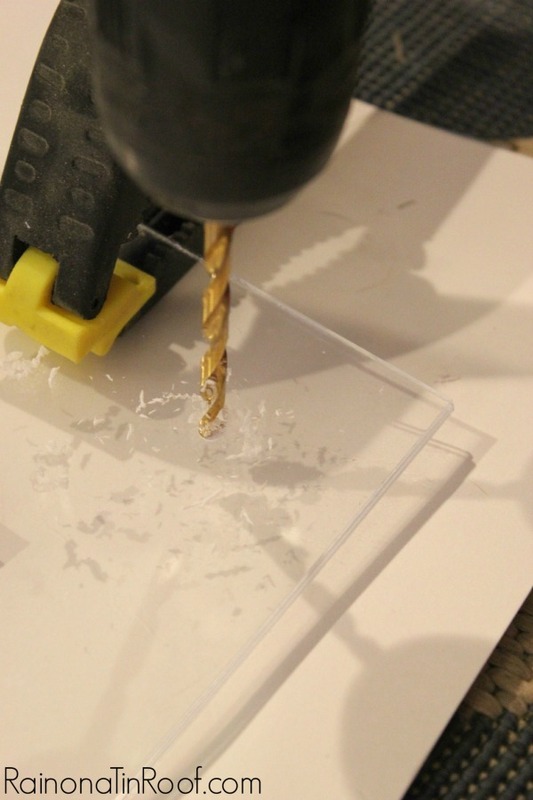 Going slowly and not putting too much pressure on the drill, drill through your marks until you make it through both pieces of acrylic. 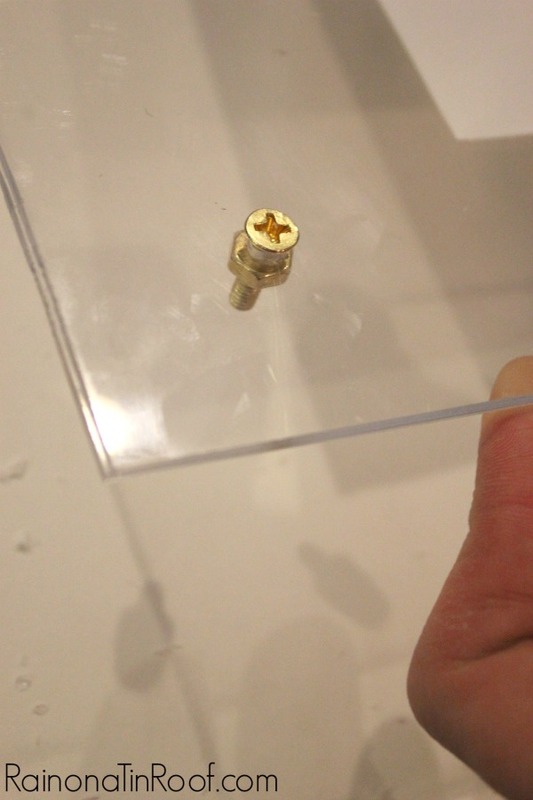 Place a screw through each of the holes and screw a nut onto the back. Heck of a lot cheaper than having someone else frame art for you. Don’t you just love that quote from Rhett? It will never get old. I hope you have a damn good day. 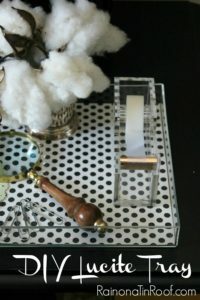 Yep, that’s a DIY Lucite Tray – and it costs less than $5. Need affordable wall art? I’ve got you covered! 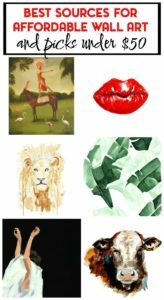 Don’t miss these sources for affordable wall art and my favorites under $50! Very clever! Love the clean look of it. Love this we are going to feature it on tomorrow for our Saturday Selections. 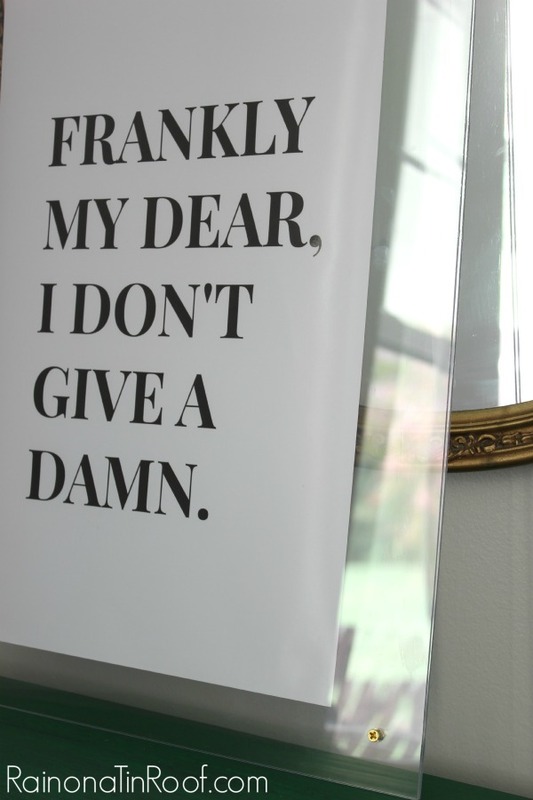 Plus I am a huge fan of Gone with the Wind! Awesome, Jordan! Thanks for the feature! brilliant!! 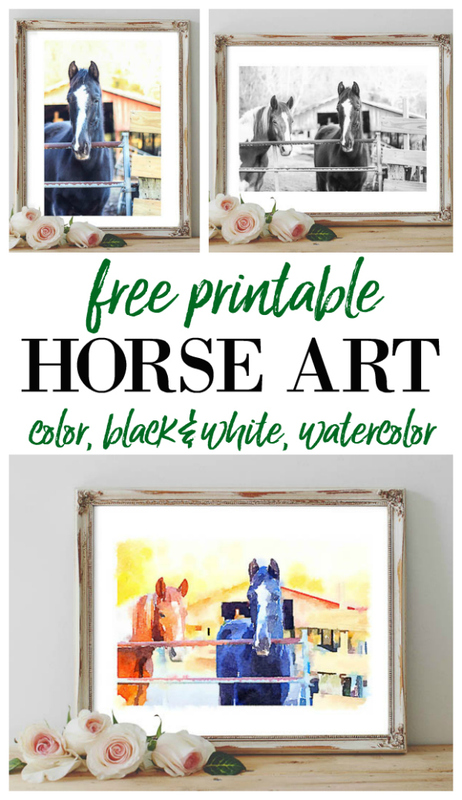 I needed this tutorial 3 days ago when I was trying to figure out how to frame a vintage rodeo poster for my One Room Challenge!!! Ha! 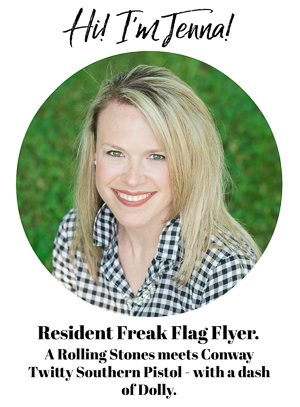 ooooo, Amber – the vintage rodeo poster sounds awesome!! Question, what size did you print in? I think I originally printed it in an 11×14, but ended up cutting it down a bit to showcase the words. 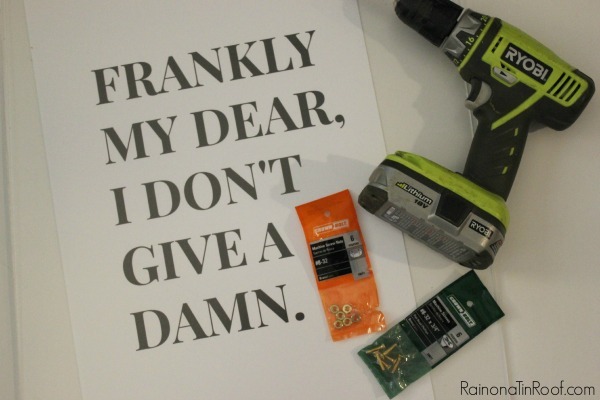 Great DIY project and great saying. 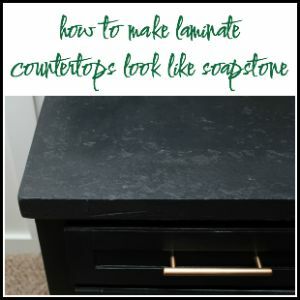 Love the look of lucite! 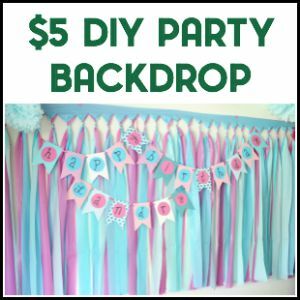 Visiting from Made By You Monday party. I love that quote from Rhett. Love your DIY project too. I love this! I think that is my favorite movie quote of all time. 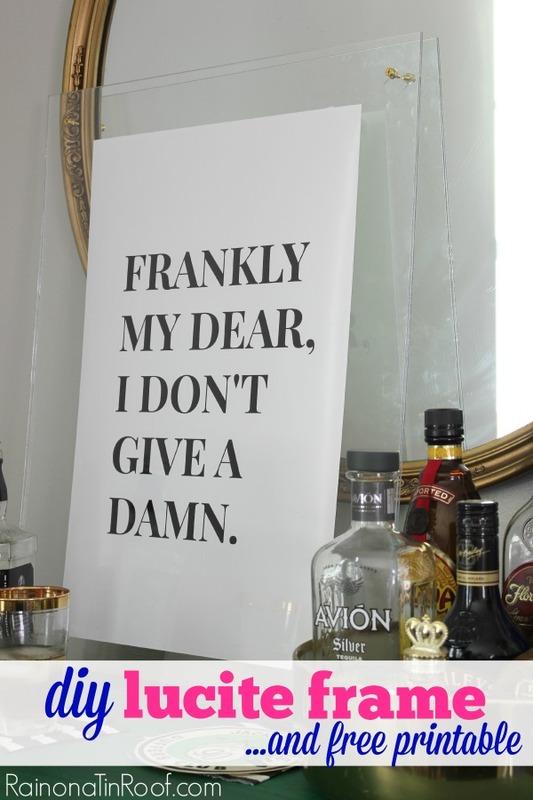 I love how it looks so clean and stylish, perfect for any room in your house.